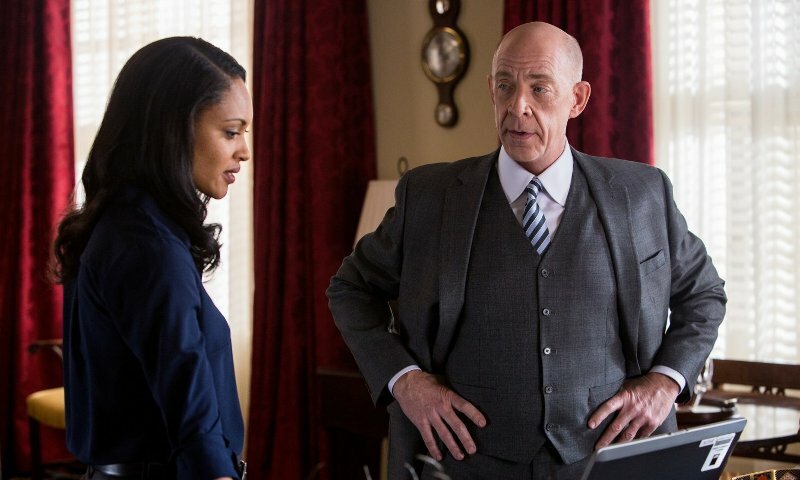 The Accountant, directed by Gavin O'Connor (Warrior), follows a Treasury Department investigation into a math genius who handles books for illegal organizations around the world. The film features acting performances from Ben Affleck, Anna Kendrick, J.K. Simmons, Jon Bernthal, Jeffrey Tambor, Cynthia Addai-Robinson, John Lithgow, and Alison Wright. Gavin O'Connor is really good at making movies. Warrior is a big time MMA movie wrapped around an intimate and intense tale of brotherhood and family. Miracle is a dramatically satisfying recreation of America's defining underdog moment in Olympic history. 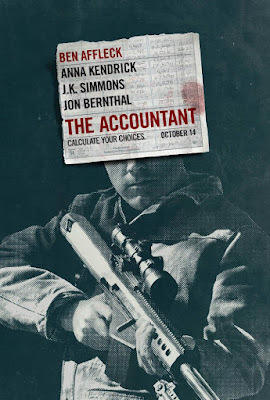 With The Accountant, he tackles some very interesting subject matter and mashes up a couple of different genres. It's hard to really say much about the movie because there are so many twists, turns, reveals, and discoveries all of which help to make the story a really satisfying treat. Just understand that O'Connor has crafted a very well thought out film that is about as technically sound as any movie you will see this year. Ben Affleck has always been a polarizing figure when it comes to what people think of him as an actor and, as the years go by, it is getting harder and harder to deny how talented he really is. Films like Gone Girl, Argo, and The Town have elevated him to legitimate leading man status and bankable box office star although I would have to say that his work in this film could actually be his best to date. Christian Wolff is a very complex character and Affleck really does a fine job of bringing him to life. 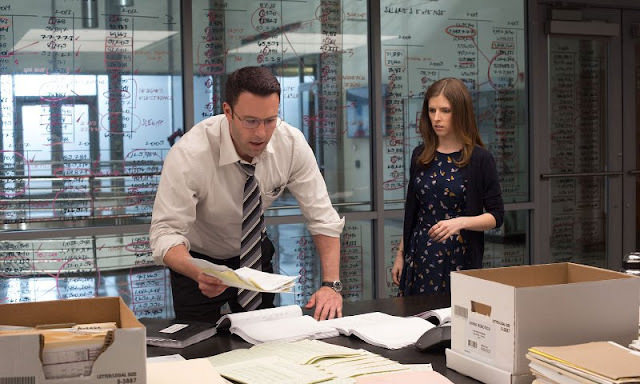 We also get some great work from Anna Kendrick, J.K. Simmons, and Jon Bernthal who are all perfectly cast in their supporting roles. 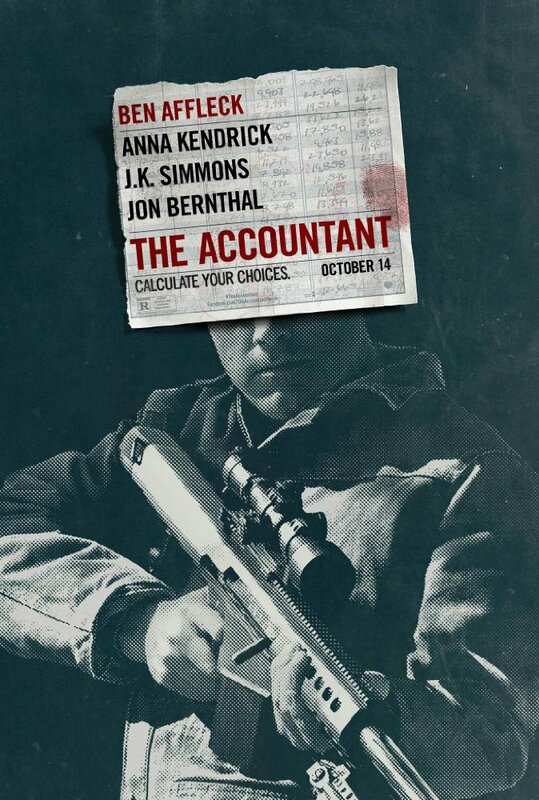 The Accountant is a very entertaining and intense thriller although it's really not what you'e expecting at all. A brilliant story and some strong acting performances should have this film on a lot of people's year end "best of" lists. Yes, it's that good. Go see it.